Boat up and fly back! Experience the magic of boating to the Hot Springs and catching a flight out to remote Hot Springs Cove, where guests can enjoy a therapeutic mineral hot spring that gushes out of the rainforest and cascades down a waterfall into a series of natural rocky pools. The scenic flight from Tofino to Hot Springs Cove is approximately 15 minutes long and arrives/departs at the seaplane dock, 2 blocks from our Tofino office. Read more about our Hot Springs Tour! We need 24 hours to be able to book your flight back to Tofino, please make your reservation ahead of your planned tour to Hot Springs Cove. WINTER & SPRING DEPARTURE TIME: 11:00 am to boat up and then fly back to Tofino. SUMMER DEPARTURE TIMES: 9:00 am - 12:00 pm to boat up and then fly back to Tofino. NOTE: To make a reservation for your Sea to Sky Tour please contact our office directly as we must confirm your requested flight time with the airline. This exciting 6 hour Hot Springs Tour departs daily from Tofino on our heated 30' covered cabin cruiser. Departure times are daily at 11:00. Summer Month (July + August): 9:00 am and 12:00 pm. We provide a Mustang Survival Inflatable PDF to wear on the vessel. This tour is not suitable for women who are pregnant and people with serious back or neck injury's. Please let us know of any conditions when you book your tour. There are 2 composting toilet facilities at the springs - one at dock and another at the Hot Springs. A change room is available and provides guests a dry place to leave your belongings. The Hot Springs Cove boardwalk can be slippery and wet so wear good footwear and be mindful of the boardwalk conditions. There are no stores or facilities to purchase items or food so please come prepared for a 6 hour Hot Springs Cove adventure. There is no garbage pick up at the park, anything you bring with you must be packed out with you. We collect a $3 per person BC Parks fee (children under 6 are free). Occasionally our Hot Springs Tours are operated aboard an open Boston Whaler vessel. You are provided with protective floatation suits, gloves and toques. 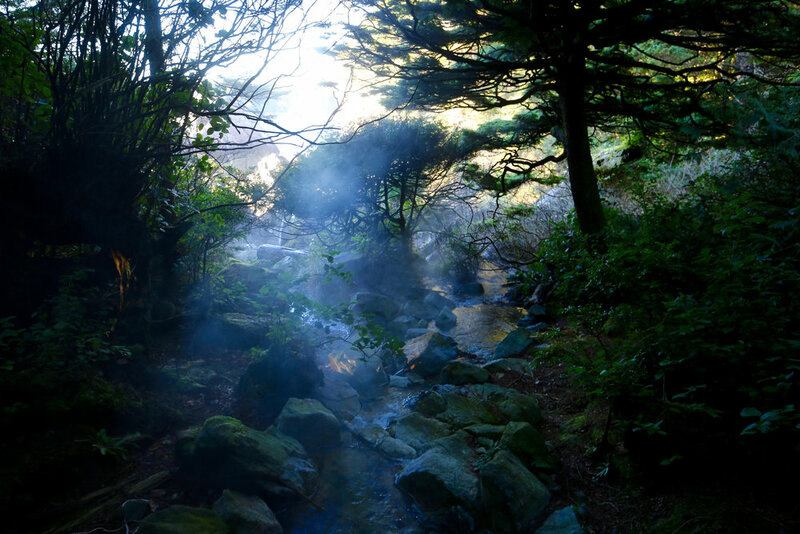 The Hot Springs are naturally sulphurous, so expect a natural aroma. During winter high tides at Hot Springs Cove, we avoid times of high tides and high swells for your safety. Be advised that tours could be cancelled due to sea conditions. Picnic lunch and water, there are no stores at the Hot Springs. We like to wear Teva Sandals or water shoes in the springs, rocks can be slippery. Please bring your rain gear if the weather is wet. A watch or timepiece so you can be back from the hot springs to the dock for your ride back to Tofino. Check in time for the Hot Springs Tour is 30 minutes prior to departure time at our office at 411 Campbell Street. We collect your $3.00 per person BC Park Fee (children under 6 are free). We reserve the right to add a fuel surcharge (currently $6.00). Prices do not include GST and fees. Sea to Sky programs do not qualify for any discounts. Please note that flights are weather dependent. Flights can be grounded due to fog or high winds. You also spend less time on the water and reduce your chances of seeing marine wildlife. Need more information? Please call us 250-725-2132 or send us an email: whales@island.net. We recommend making a reservation for this option as soon as possible.